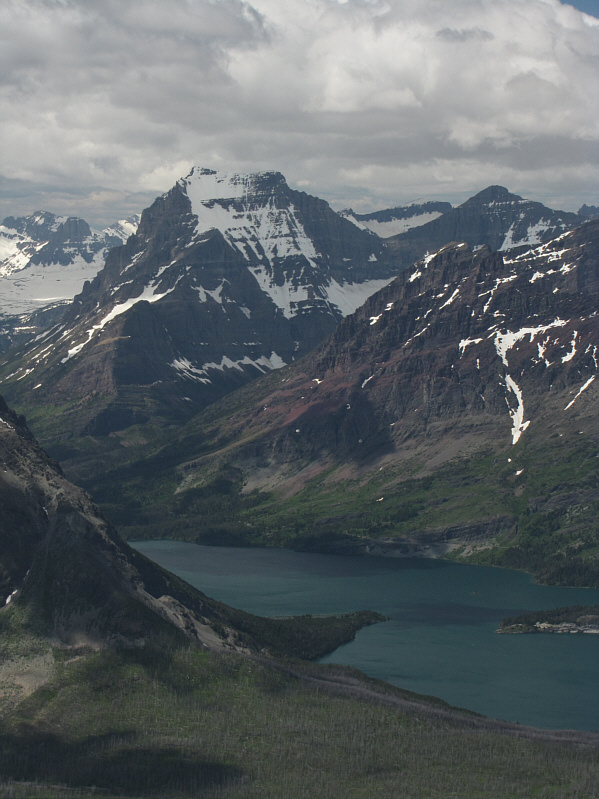 When I drove to Montana's Glacier National Park on the morning of 8 June 2013, I had plans for a big day of hiking, but when the border crossing took longer than expected, I opted for a less committing trip in the form of Divide Mountain. Where Highway 89 crests a ridge about 9.5 kilometres out of the town of Saint Mary, I turned onto an obvious access road leading to the base of Divide Mountain's north ridge. 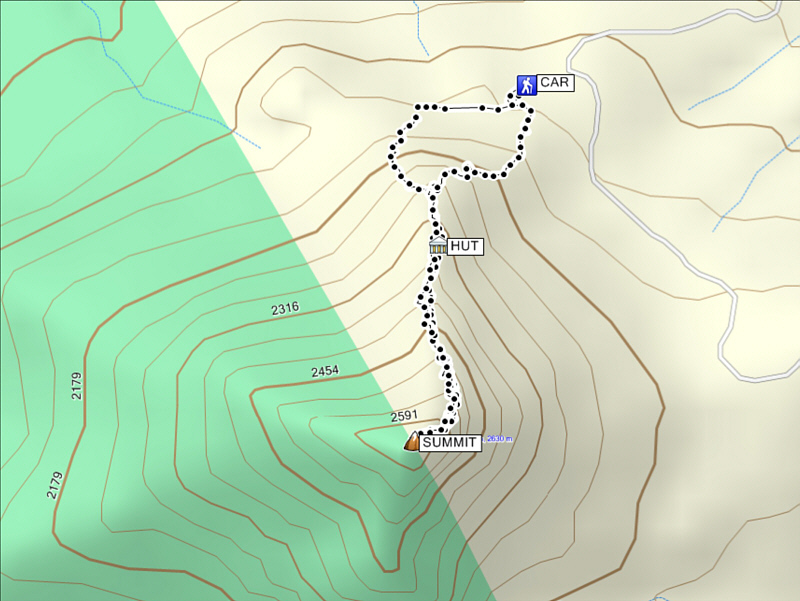 From the parking area, I noticed a treed ridge which looked like a feasible route up the east side of a cliff face guarding the north end of the mountain. A party of four ahead of me appeared to continue along a gravel road to the west side of the cliff face, and I decided to follow them since I figured they knew where to go. When I got around the west side of the cliff face though, the group had mysteriously disappeared, presumably up the mountain. 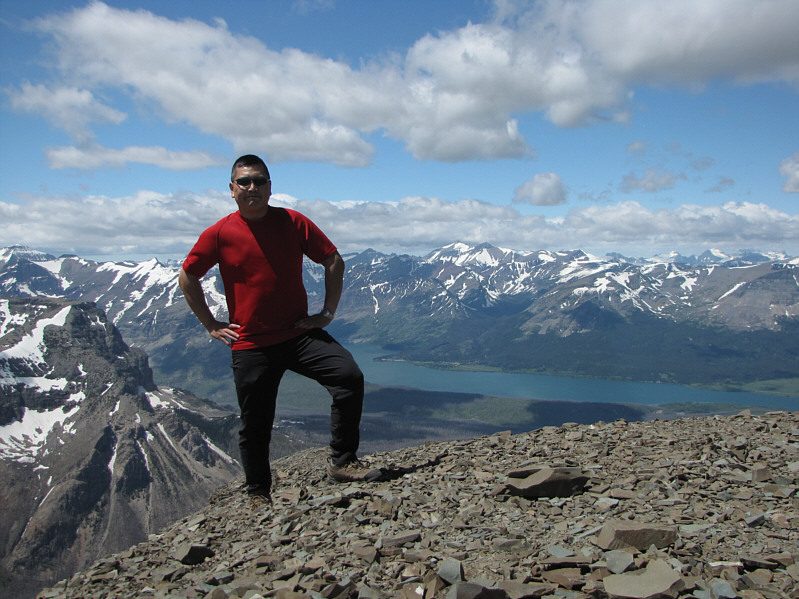 Regardless, I started scrambling up the rubble slope and eventually caught up to them at a dilapidated lookout hut partway up the north ridge. Pushing on from there, I enjoyed a very pleasant ascent up the remainder of the ridge which presents few, if any, difficulties. 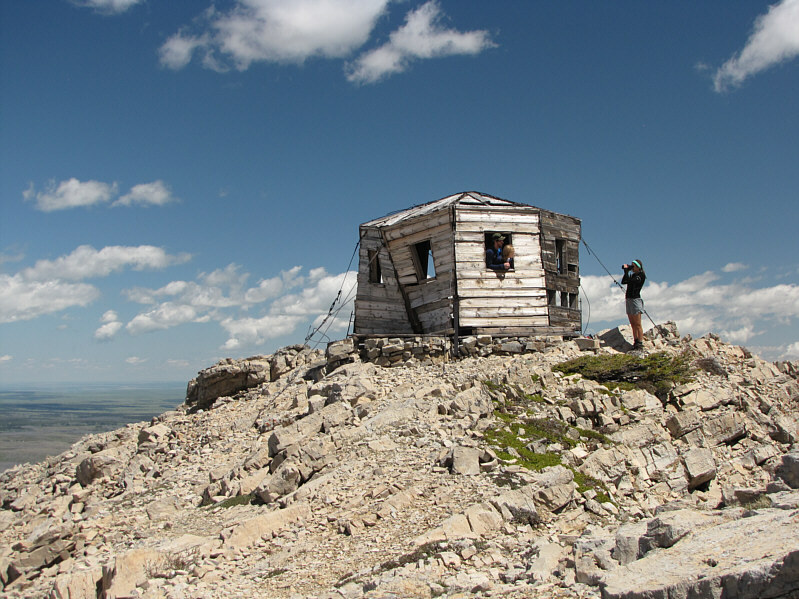 After spending about half an hour enjoying the superb summit views, I retraced my steps back to the hut and continued down the aforementioned treed ridge which worked out well even though parts of the route are heavily eroded. Returning to my car, I drove out the access road and headed further south to the Two Medicine Lake area to find a camping spot for the evening. Sonny starts up a gravel road near the north end of Divide Mountain. 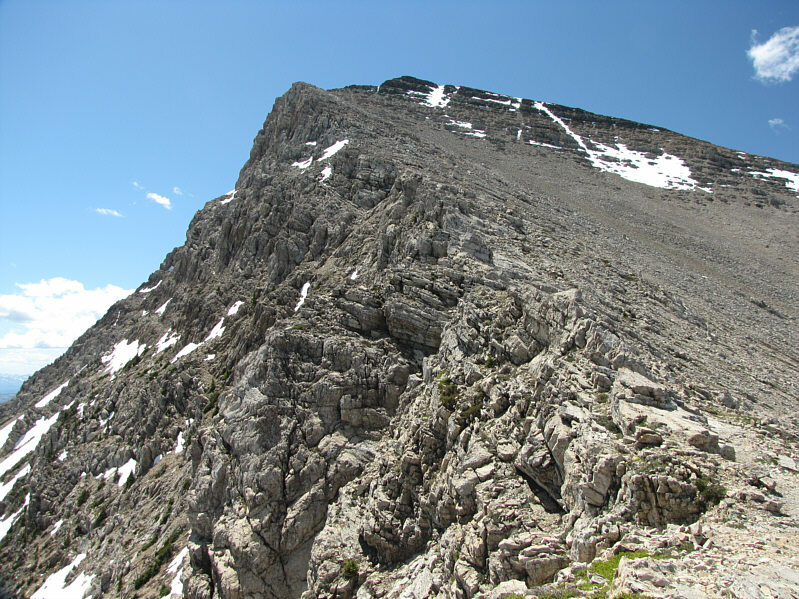 Both the right-hand skyline and the treed ridge at left are feasible routes. 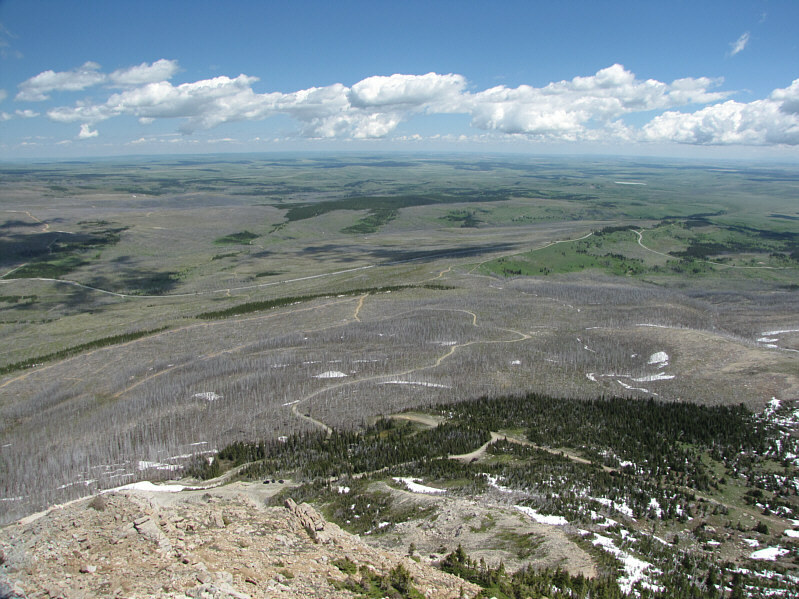 From the north ridge, the access road can be seen winding through a burnt forest. 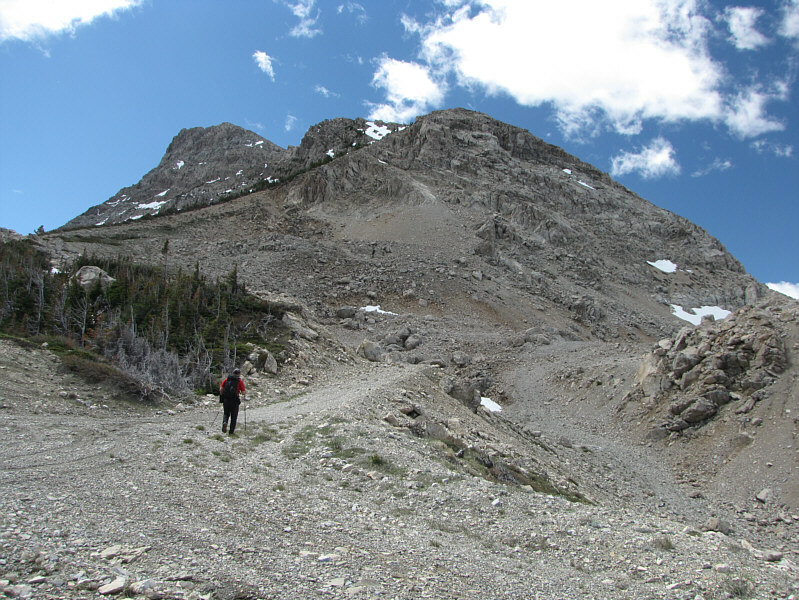 The north ridge of Divide Mountain is uncomplicated. 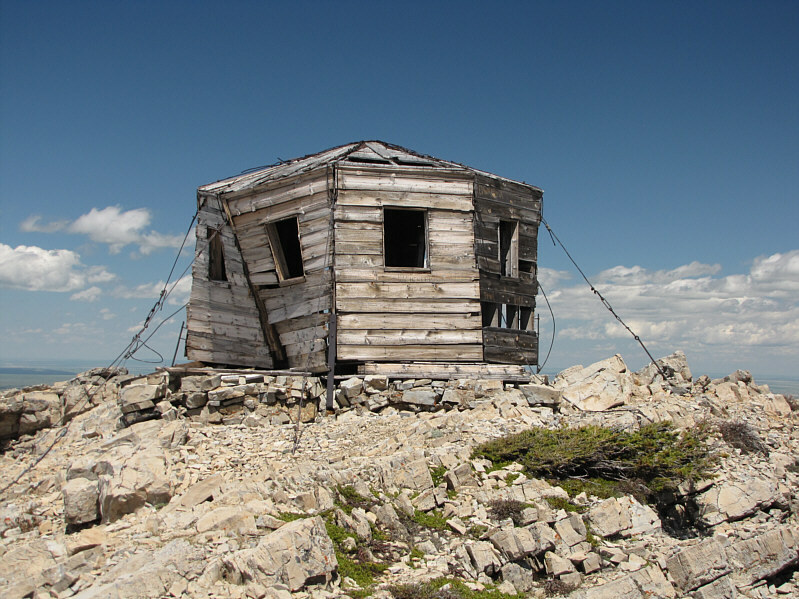 An old lookout hut sits on the ridge at 2353 metres. 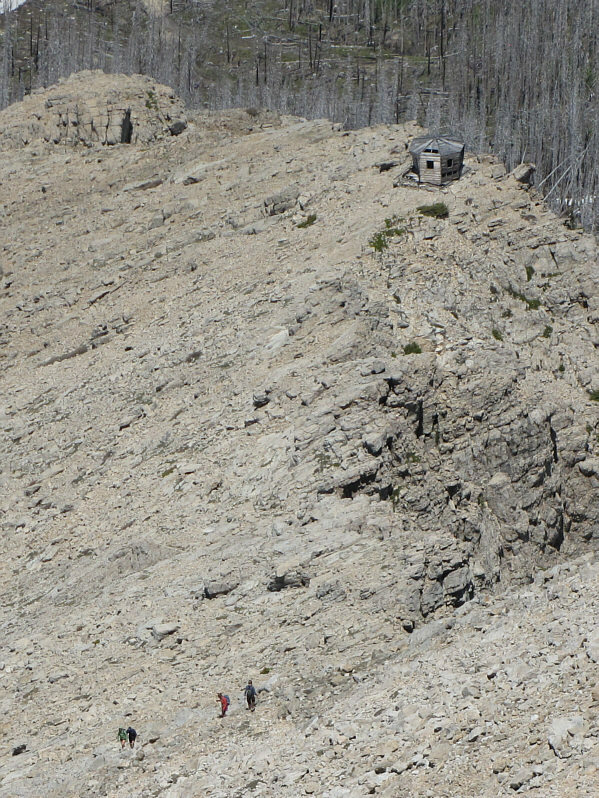 Impressive cliffs line the east side of Divide Mountain. 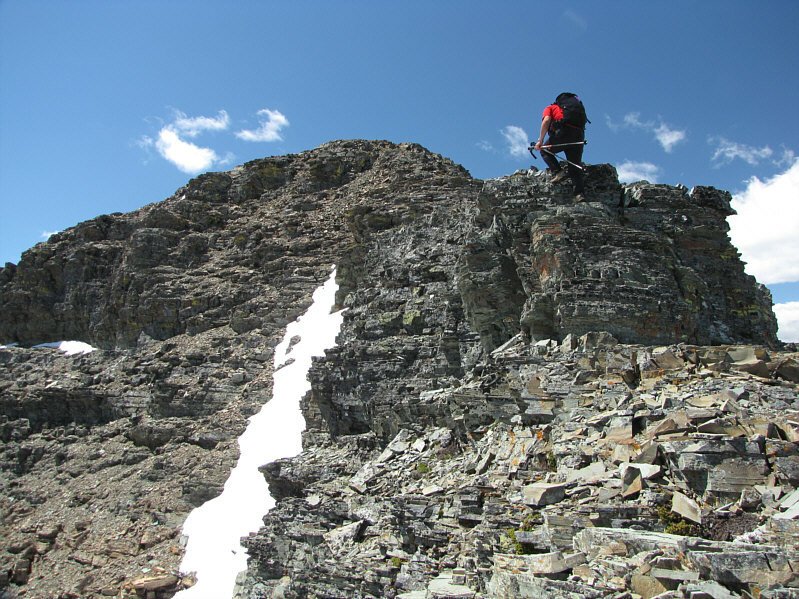 Sonny climbs over a short rock step near the summit. 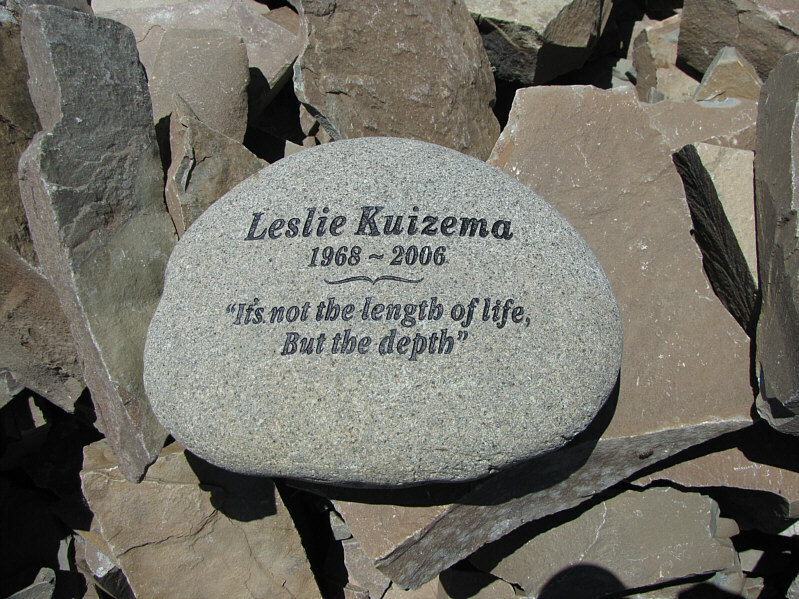 Among the summit rocks is this memorial. 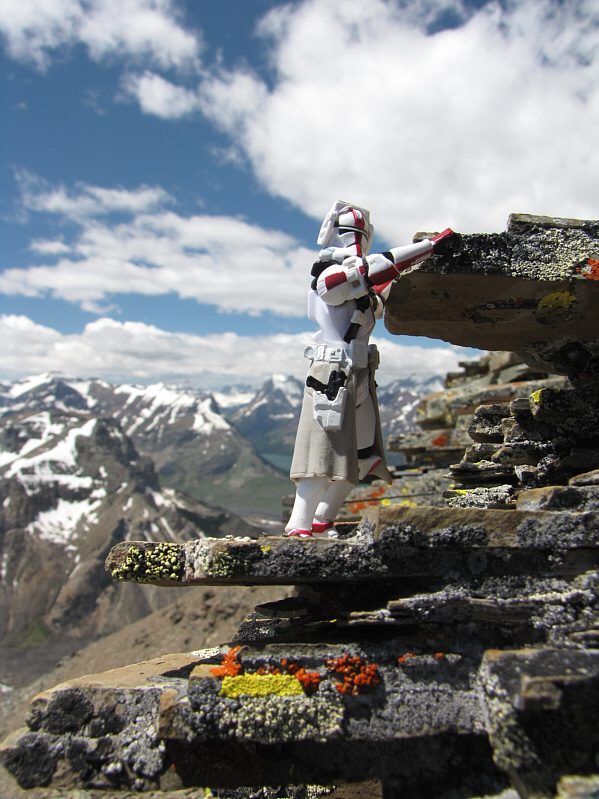 Sonny enjoys the views from the 2632-metre summit of Divide Mountain. 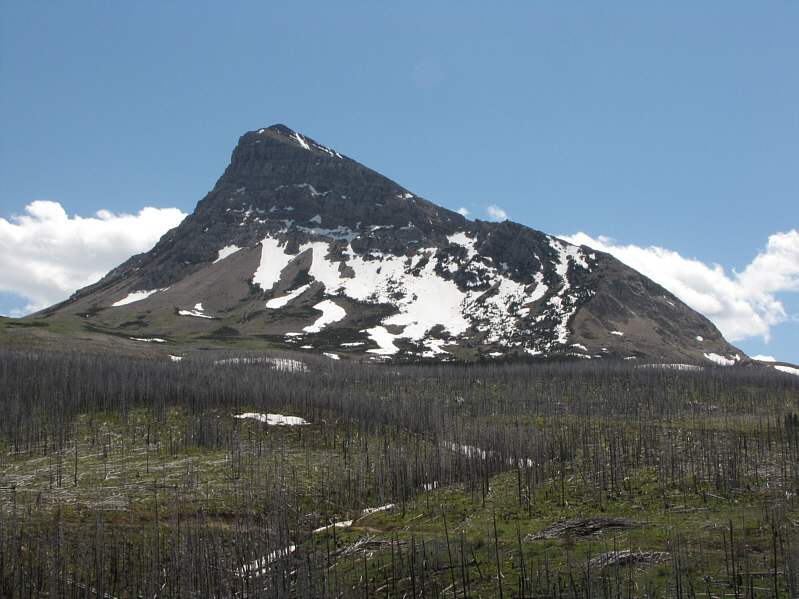 White Calf Mountain dominates the view to the south. 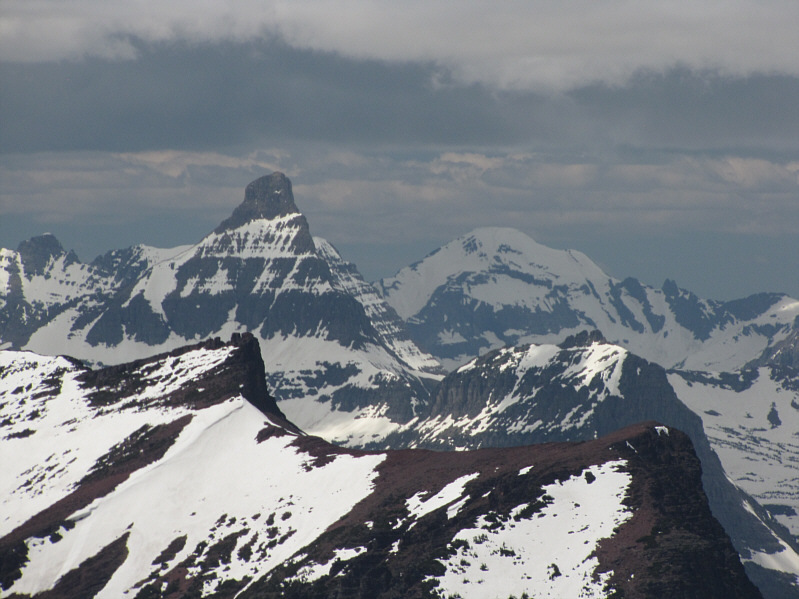 A plethora of peaks stretch away to the southwest. 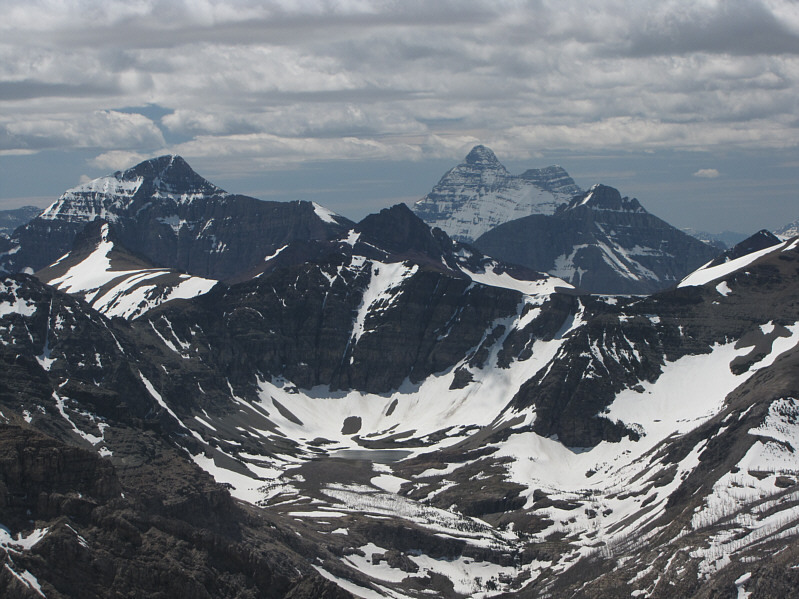 Mount James (left) and Mount Stimson (centre) are the two that stand out the most. 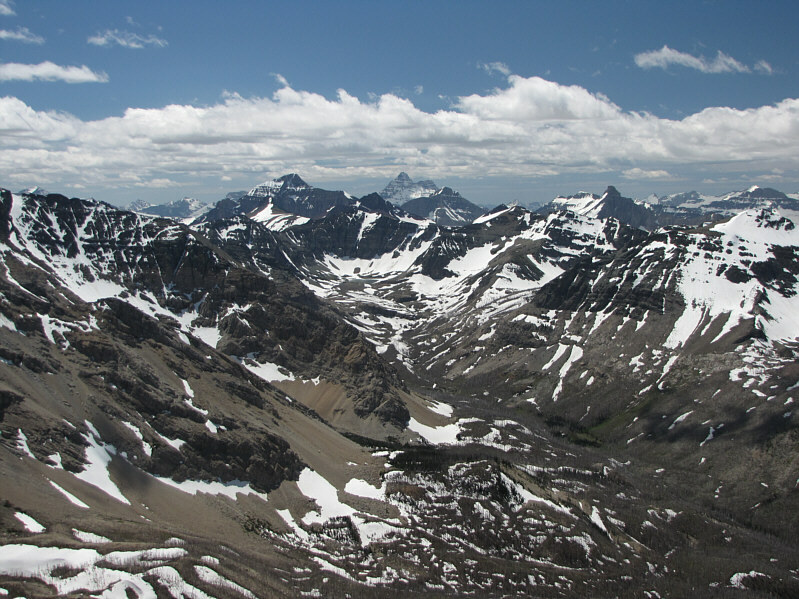 Notable peaks to the west include Reynolds Mountain (distant left), Going-to-the Sun Mountain (centre) and Mount Siyeh (right). 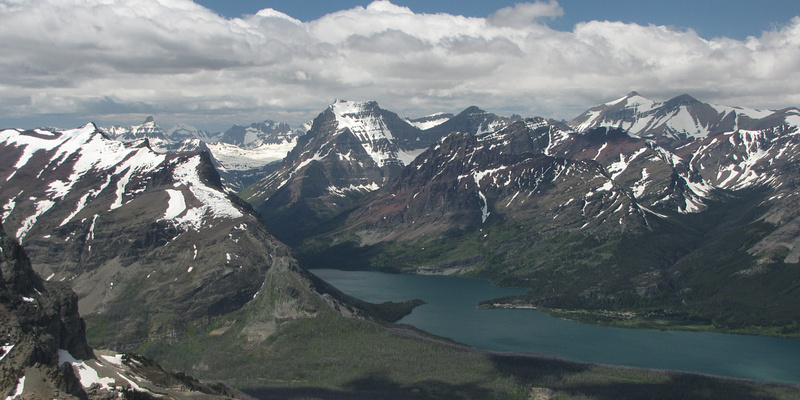 Saint Mary Lake and Lower Saint Mary Lake are the most notable landmarks to the north. Divide Mountain has a lot of visitors on this day. 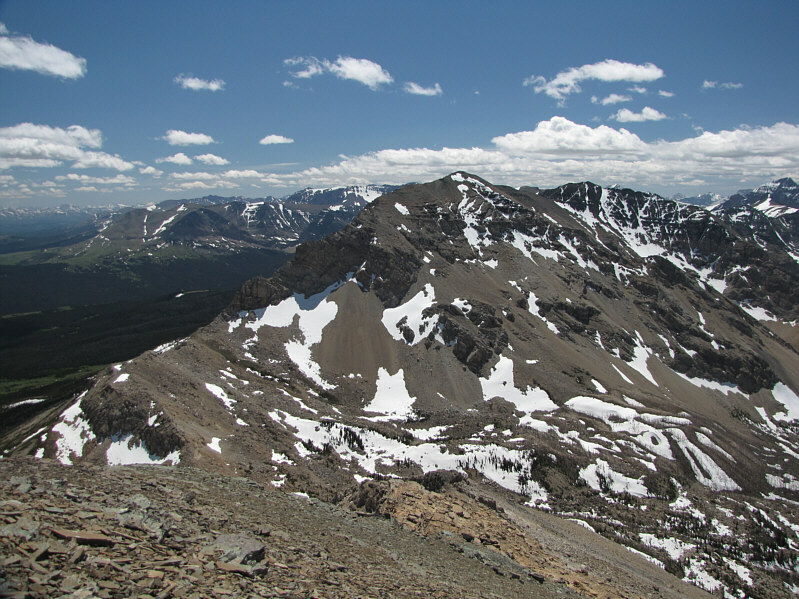 Here is a closer look at Mount James, Mount Stimson, and Medicine Owl Lake. Far to the west, Reynolds Mountain and Mount Vaught are still snowbound. 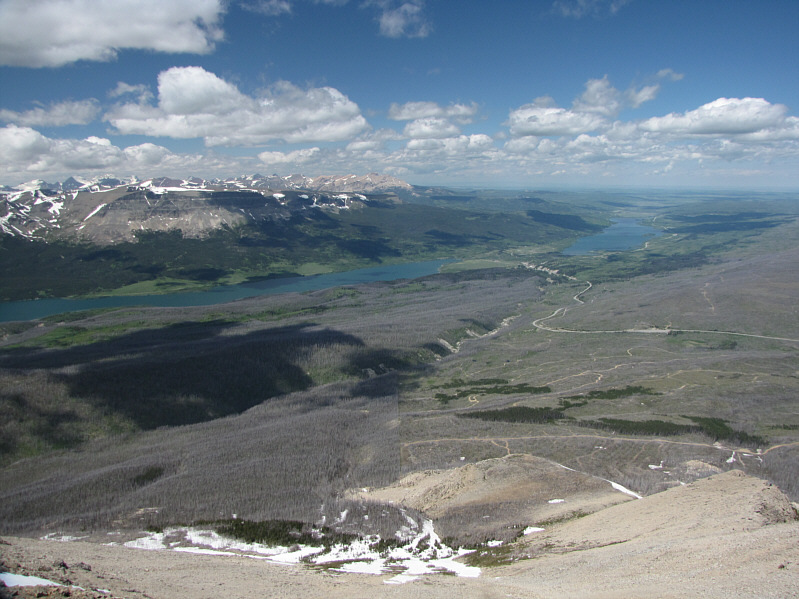 Here is another look at Going-to-the-Sun Mountain beyond Saint Mary Lake. 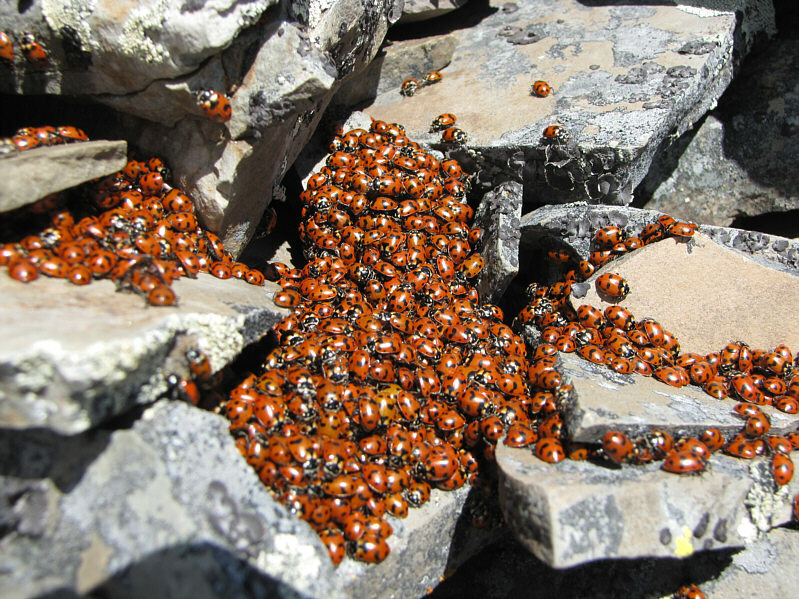 Ladybugs gather like this to keep warm. The lookout hut is worth checking out again on descent. 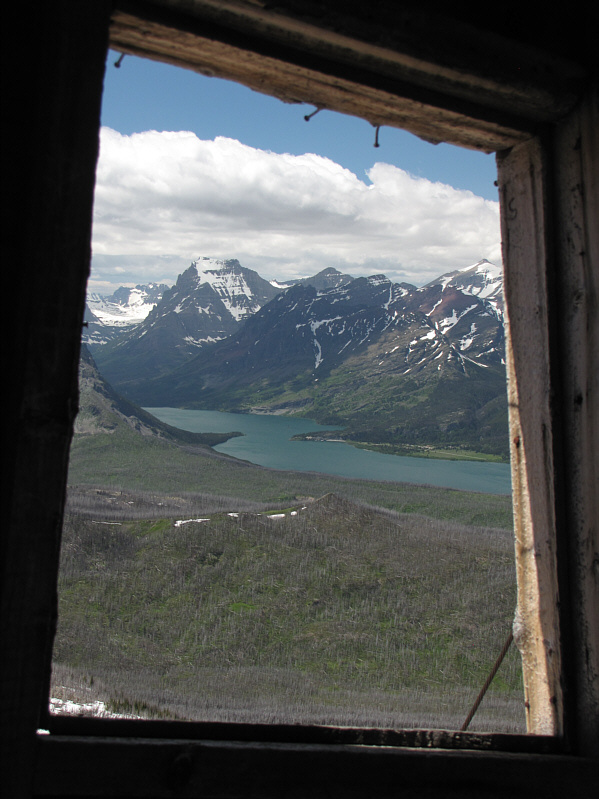 The view from inside the hut is not bad. 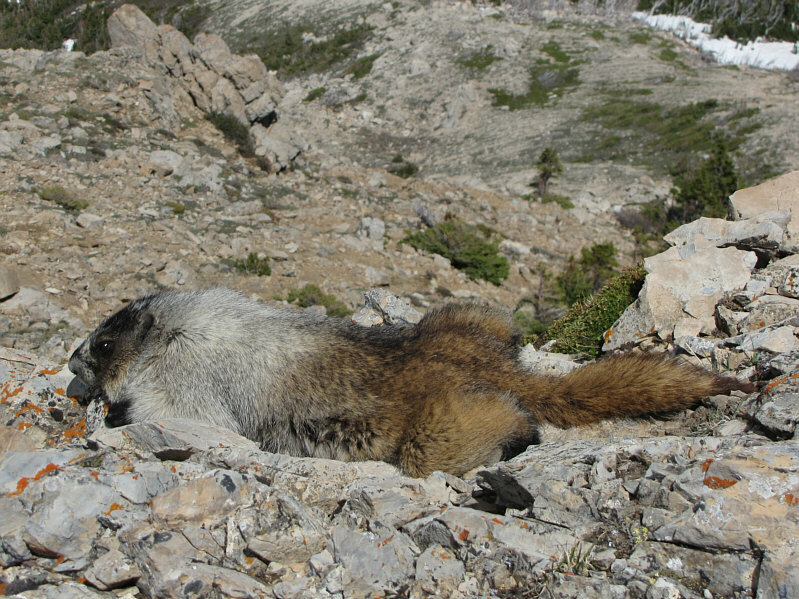 A hoary marmot hunkers down among the rocks. 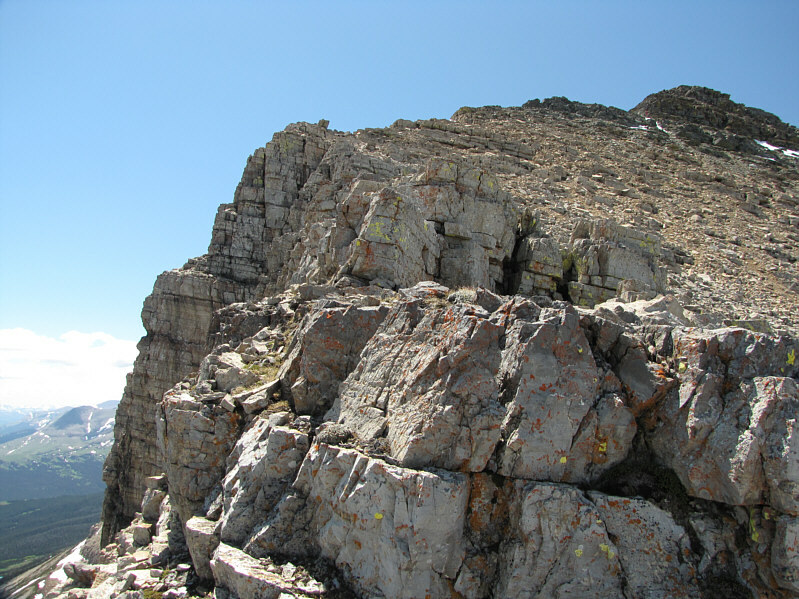 Here is a more comprehensive view of Divide Mountain's north ridge. I would return for a second ascent of this mountain in 2018.